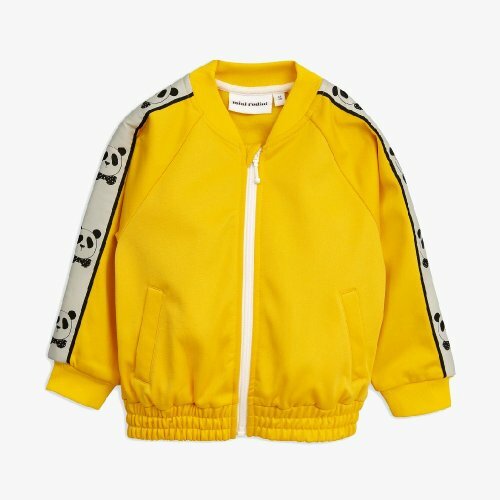 Very recently the SS19 pre collection from mini rodini was launched. 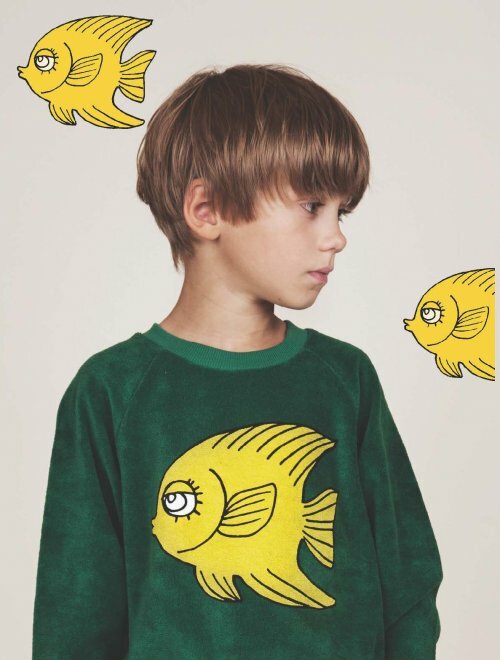 We think that it is one of the more exciting collections this year. 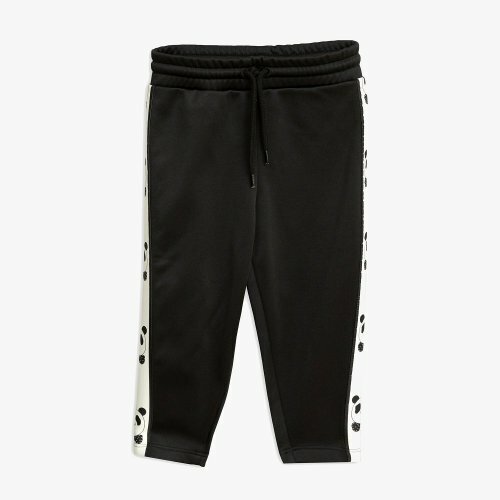 The wct jackets and wct pants in limited edition are very nice and one color, the black one, sold out in one day. 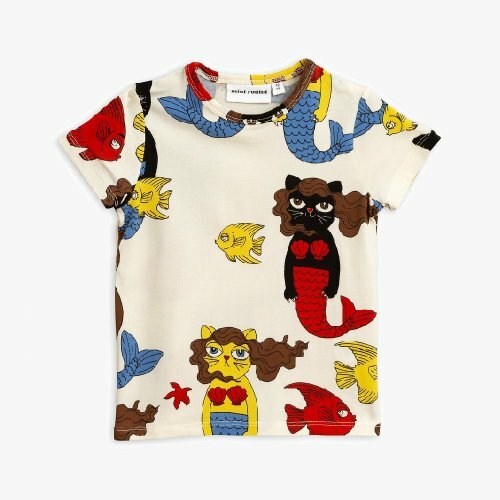 For the fun loving parent the cat mermaid print is the perfect choice. It is available as a t-shirt, as leggings and as a dress. They are all made of tencel. Very smooth. 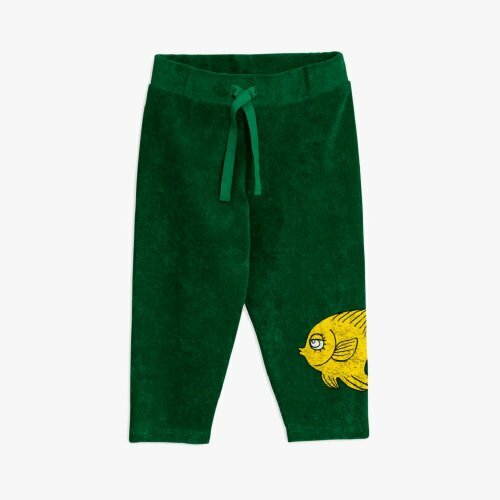 Another fun piece is the sweater in the first image on top and these terry sweatpants with a yellow fish. 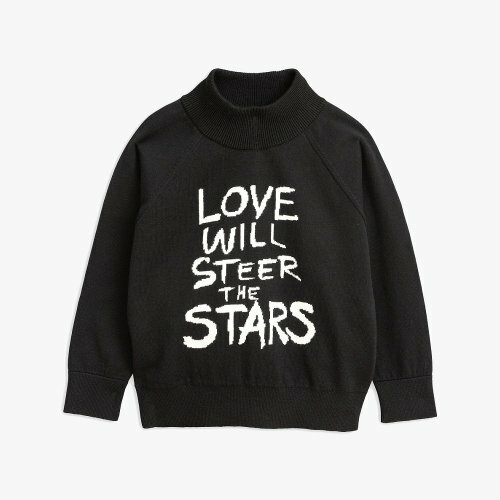 The name of the collection is "love will steer the stars". The main piece is this sweater in very high quality.